Carrie interviews Olympian Mechelle Lewis Freeman! Mechelle discusses participating in the 2008 Olympic Games, the rewards of coaching, parenting, and her company Track Girlz. A Maryland native, Mechelle Lewis Freeman is a graduate of the University of South Carolina where she obtained both her Bachelors and Master Degrees in Mass Communications. She was a member of the 2002 Women’s Outdoor Track & Field team who brought the first National Championship in any sport to the university. Mechelle is a Track & Field 2007 Pan American Double Silver Medalist, 2007 World Champion, and 2008 Olympian. Her events included the 100 meters and the 4×100 meter relay. She currently coaches sprints and relays for the Wayzata High School Girls Track Team and is the Assistant Relays Coach for USA Track & Field’s National Teams. 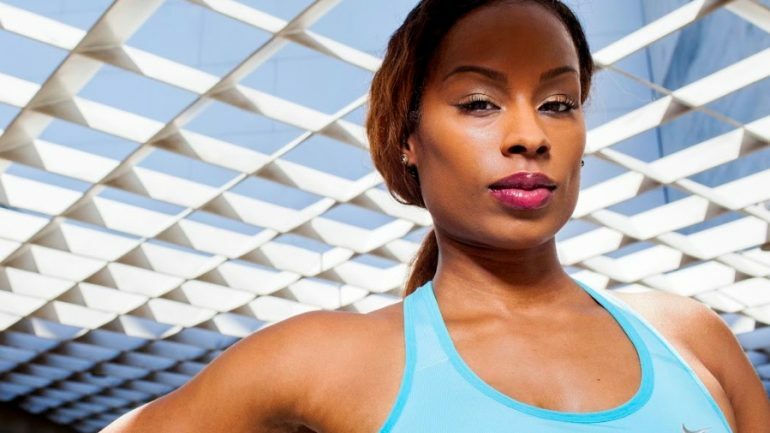 Off the track, Mechelle turns her focus to TrackGirlz, her company she founded to empower women and girls through track and field inspired apparel, camps, and fitness events. As a marketing professional, she has managed global brands including Coca-Cola, IBM, and the Xerox. Mechelle is passionate about sharing her personal journey to inspire others. She currently lives in Maple Grove, Minnesota with her husband, David, and two children, Bayne and Harley.